US-based auto giant, General Motors (GM) reportedly is preparing a new car that will be present and brought Compact SUV model using the Chevrolet brand. From the rumors today, GM's new SUV will be a new challenger Ford EcoSport and Renault Duster. From the information obtained from Autocar India, new Chevrolet SUV will debut at the inaugural event the Delhi Auto Expo 2014 will be held from 5 February. 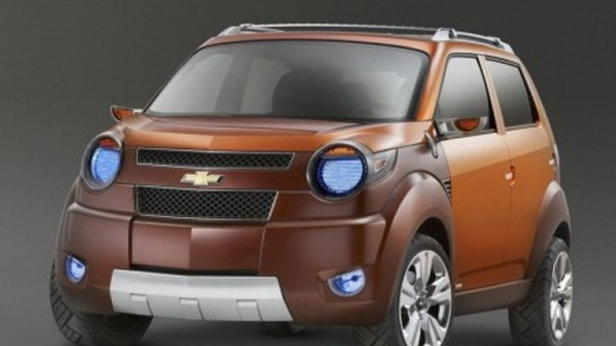 The new compact SUV will come with using a base GM global small vehicle platforms, namely Gamma II. GM's new SUV is also rumored to be equipped with an engine capacity 1.3 liter diesel is also used by Chevrolet Sail and MPV Enjoy in India. The Engine which is supplied by Fiat is capable of generating power up to 77 hp. New competitors EcoSport and Duster made ​​by GM will also come with a long dimension of less than 4 meters. Actually in this segment has had a Chevrolet Trax GM and Opel Mokka is already marketed in the global market. It's just that the long dimension of the GM's flagship SUV is more than 4 meters. Managing Director of GM India, Lowell Paddock said. "I'm not sure Trax can compete with compact SUVs such as the segment for the Indian market. Which will be launched at the Auto Expo lower, "he said.